Now empty the Trash to remove Diablo 3 Beta from your Mac completely, freeing up quite a bit of disk space. If you want to find more wasted space on a Mac, check out our guide to using OmniDiskSweeper. These instructions are the same for the original Diablo 3 Beta client as well if you were lucky enough to be a part of that. Lestat, if you don’t want to live on the planet any more, I’m sure no one will miss you with that attitude. Fact is, Blizzard installs crap all over the place, in a non-standard fashion, just like they do with WoW. Cleaner apps won’t find all the files because cleaner apps don’t search in the “protected” areas on your Mac, just like Spotlight doesn’t. I *own* my computer but Apple finds it necessary to restrict the system folder and other “restricted” areas from me searching in them on MY OWN COMPUTER. Find Any File will find any and everything if you search with admin rights. Just type diablo for your search terms. I found that too! Along with several log files that were in my Users > Shared folder. 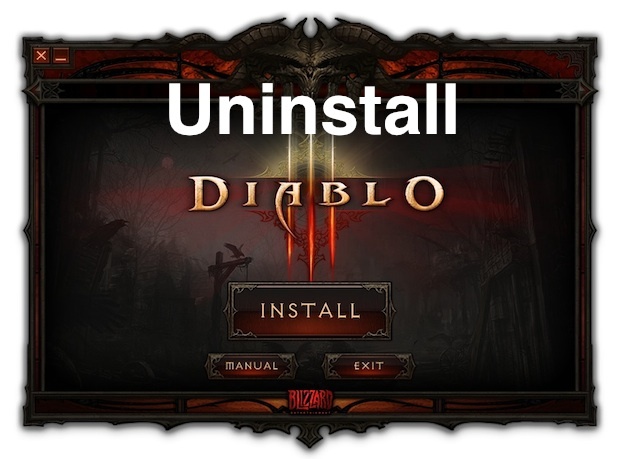 I deleted everything I could find on my computer that contained the name Diablo3 or “Diablo 3” so nothing will interfere with the full game when I download it. I am disappointed in Blizzard that the Beta client can’t be used for the final version, or at least parts of it. Some of us have bandwidth limits, using another 10GB of transfer come final version is going to be a big waste when we already had part of the game downloaded! is there a guide to uninstall software in mac??? And there is people publishing? ?? Ah yes of course this was published for everyone but Lestat, who of course knew to look in ~/Library/Preferences/ and to delete “com.blizzard.diablo3.plist” followed by ~/Library/Caches/ and remove the entire “com.blizzard.diablo3″ folder there and then going to ~/Downloads/ folder and removing the two files “Diablo III Beta Setup.app” and “Diablo-III-Beta-enUS-Setup.zip”. Yes, who wouldn’t know that?!? Lestat is a genius everyone, congratulations Lestat, you win the day. I used app cleaner. Hopefully that got everything. There’s a few other locations with D3 files. You should use Find Any File and hold Option down when you search to find EVERYTHING Blizzard installs all over.